The route I survey will not be the cheapest, but it will be the best! 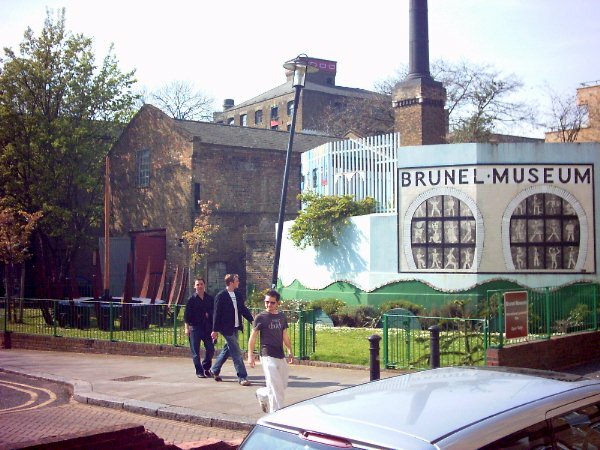 On April 8th, 2007, I visited the Brunel Museum in London. 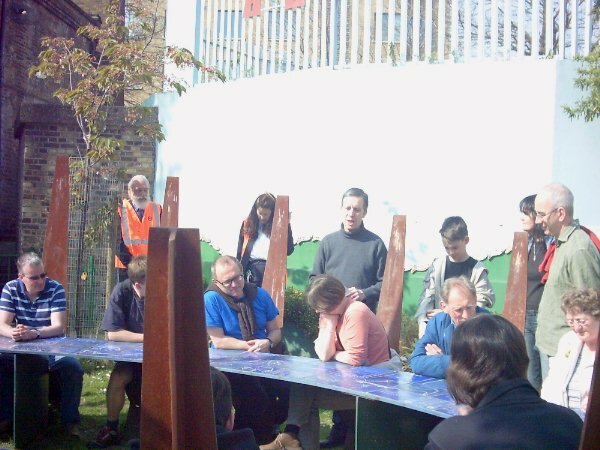 The occasion included a guided tour of the Thames Tunnel, which was the first tunnel ever to be dug under a navigable river through soft earth using a tunnel shield, and is still in use by London Underground as part of the East London Line between Rotherhithe and Wapping tube stations. The construction of the Thames Tunnel involved both Sir Marc Isambard Brunel and his son Isambard Kingdom Brunel. The Tunnel was designed by Marc Brunel, and Isambard was appointed as the chief engineer of the Thames Tunnel at age 20, marking the beginning of Isambard Kingdom Brunel's engineering career. The Thames Tunnel was built between 1825 and 1843. 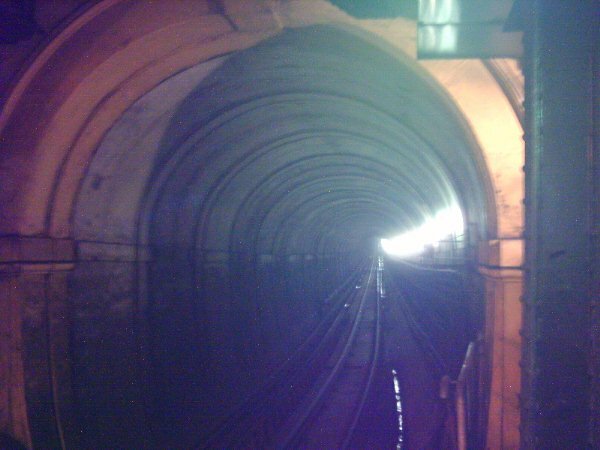 It was the first shield-driven tunnel, the first successful soft ground subaqueous tunnel, and was adapted in 1869 to be the first subaqueous railway tunnel. It comprises two 1200-foot long arched brickwork passageways joined by a wall of arches in an overall space of 22 1/2 feet high by 38 feet wide. The original idea was that the tunnel would carry cargo under the Thames, but this didn't work out because the project ran out of money before ramps could be built to the surface. Horses couldn't negotiate the shaft staircases, so the tunnel began its working life as a pedestrian tunnel with traders selling their wares, described by American writer Nathaniel Hawthorne as "multifarious trumpery", from the narrow archways in between the two sides of the tunnel. In the first six months after opening, over 1.5 million persons passed through the tunnel. The structure behind the "Brunel Museum" artwork in the picture below is the top section of the original brick access shaft constructed by Marc Brunel when the Thames Tunnel construction started. This shaft was sunk in a novel manner. A cast iron ring was constructed on the ground surface, and the 3-foot thick brickwork of the cylinder to form the shaft was built up on it above ground to its full height of 42 feet. The ground inside the cast iron ring was then excavated, and the brick cylinder sunk under its own weight, at a rate of descent of about 6 inches a day. When the shaft was completely sunk, horizontal tunnelling could then start using Brunel's ingenious tunnelling shield. The guided tour begins with a scheduled gathering at the Museum where an introductory talk is given. The tour guide then leads the party to the nearby Rotherhithe Tube Station, where we catch a tube train through the Tunnel. At various points in the tube station and on the train, the guide tells us interesting facts about the building of the Tunnel. At Wapping tube station, we ascend in the lift and walk down the spiral staircase which lies within the northern caisson shaft built by Brunel. There is a shaft at each end of the Thames, but only the one at Wapping is in use as part of the Tube station. 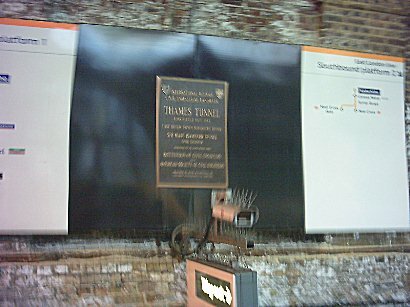 A plaque installed by the Institution of Civil Engineers and the American Society of Civil Engineers in Rotherhithe Tube station marks it as an International Landmark Site, the first tunnel under a river anywhere in the world. This is one of only two hundred such plaques in the world. 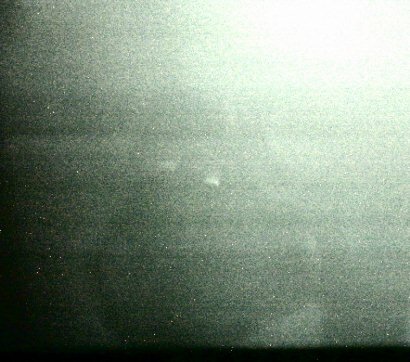 The following photo shows the tunnel as seen from Wapping station, looking south from the northbound platform. 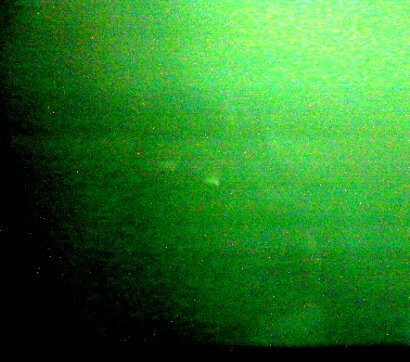 The bright lights in the tunnel are switched on especially for the guided tours. The Brunel tunnel can not be seen from the Rotherhithe platform as there is a stretch of ordinary railway tunnel constructed after the original tunnel. 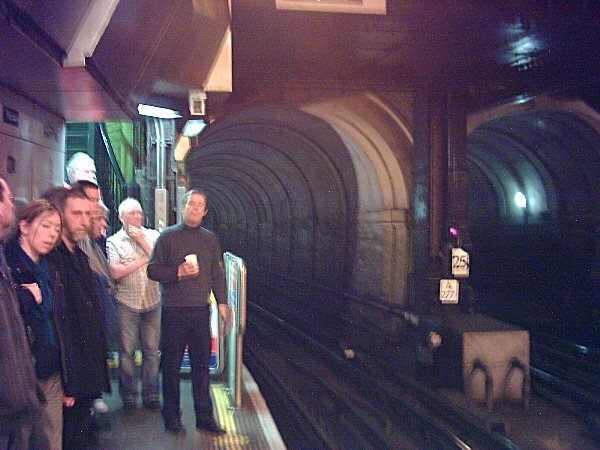 The following photo shows the tunnel as seen from Wapping station, looking south from the southbound platform. This is a very narrow platform! There were many terrible deaths during the construction of the Brunel Tunnel, where miners had to contend with Thames water that was virtually sewage, cholera and typhoid, and marsh gas that would catch fire from the miners' oil lamps. Lack of air lead to some suffering brain damage and ending up locked up at the local asylum. 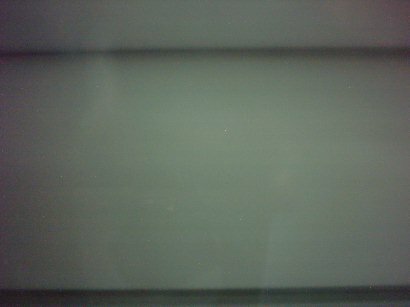 Content Copyright © 2007 - C. J. Seymour. All rights reserved. No portion of this site may be reproduced in any way without express permission of the publisher.